There are many people anxiously waiting for the 2018 Acura TLX. Released for the first time in 2014 by the luxury vehicle division of Honda, this mid-size sedan has been gaining a lot of popularity. Running against the BMW 3-Series, Mercedes-Benz CLA-Class, Lincoln MKZ, Audi S4, and Lexus ES, the 2018 Acura TLX has many great brands that already made for themselves. Unlike what happened with the 2017 TLX model, you can expect to see a mild facelift on the new 2018 Acura TLX. We are expecting to see a change in the exterior look, in the engines as well as more equipment. There are some rumors that show that the 2018 Acura TLX might be somewhat similar to the MDX model. 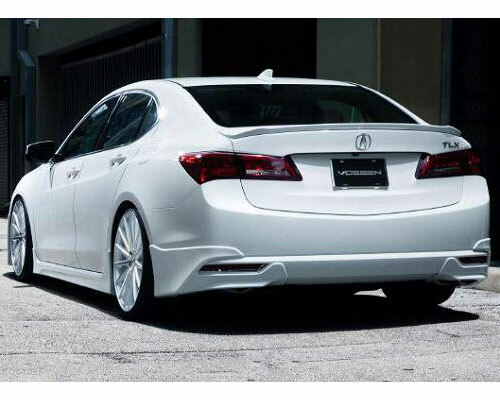 The Acura TLX is a more luxurious and powerful Accord model but under the Acura brand. Let’s take a deep look at what you may expect from the 2018 Acura TLX. We are expecting to see the 2018 Acura TLX being launched at the Chicago Auto Show in the upcoming weeks. If it isn’t, we shouldn’t have to wait for much longer and it should be debuted at the New York Auto Show. The sale will take place later this year. Make sure to check out more new car releases. 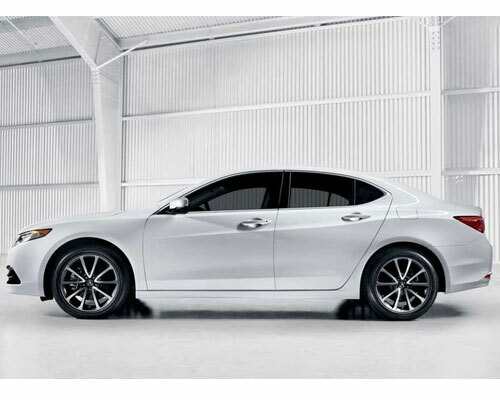 Despite there are some obvious changes on the 2018 Acura TLX when compared with the 2017 version, we are not expecting to see a high increase in the price. We believe that the price should remain pretty much the same, starting at $32,950 for the base four-cylinder model, and up to $45,850 for the V6 SH-AWD version. As we already mentioned above, we are expecting to see some changes on the exterior of the new 2018 Acura TLX. Starting for the new bumpers, both on the front as well as on the rear, we should be able to get a new front-end, just like the one used on the MDX crossover. There should be a pentagon shaped grille, a large air intake, a reshaped fender, and the headlights should incorporate the latest LED technology. On the back, we expect the fender to change a bit as well as the rear lights should be slightly different. Despite all of this exterior changes, we will still be able to see the same car profile. In what concerns to what we will be able to see under the hood we only have rumors so far. Acura hasn’t unveiled any detail so far for the 2018 Acura TLX. Despite some people believe the new 2018 Acura TLX will maintain the same engines, we believe there could be some changes under the hood. We are expecting to see two different engines. A 2.4-liter 4-cylinder engine that is able to produce 206 of horsepower and a 3.5-liter V6 engine that is capable of producing 290 of horsepower. You should still be able to choose between the all-wheel steer or the all-wheel drive options. In what concerns with the transmission, we believe we’ll see the new 2018 Acura TLX using an 8-speed automatic gearbox with a dual clutch. This will make sure that the new 2018 Acura TLX will be able to continue to provide a good fuel efficiency. We are not expecting to see many changes on the interior of the new 2018 Acura TLX. However, the fact that the engines might change, this will probably give more comfort to the passengers because of the shock absorbers. The cabin will be more spacious and you should be able to see an update of the media system as well as a slight redesigned of the dash. There are also some rumors pointing to the use of higher quality materials, especially in the seats. Although this hasn’t been confirmed, you might expect to see the seats with some distinctive sewing. You should get the GPS incorporated in the touchscreen mode as well as some LED lit door handles. 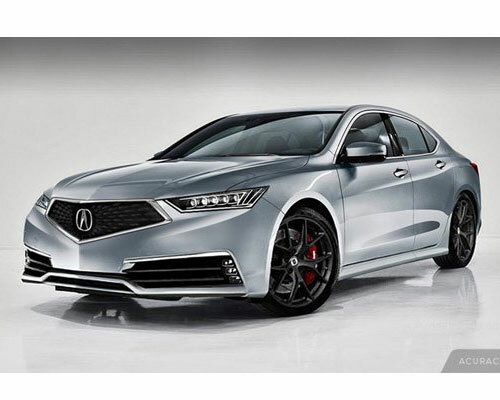 Besides all these changes, the 2018 Acura TLX should also include at least some of the most common safety features just as the previous version of the car.